Lizzie Kate "Be Mine Valentine"
Well, that's all for now! I'm trying to decide what I should get back to now. Quaker Christmas? Brave Hearts? P&P? Hmmm... Decisions, decisions! :) Write later! Great finish! Just in time for Valentine's Day! Thanks for visiting me and your lovely comments! Come back any time! Adorable! And Great VB, too! SO pretty! Both the finish and that VB case...what a great thing to see and make you feel happy! Love the new case! The finished LK is just lovely! very cute finish! and I love the bag :) addictive aren't they. I love that LK chart, it is so adorable. The colors are very pretty on it. 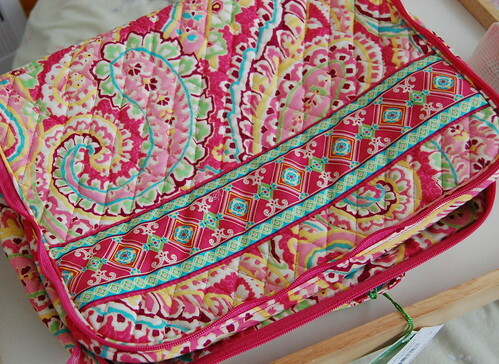 Overdyed floss makes them look so good :D The Vera Bradley bag is awesome! I need one of those LOL! Cute Valentine finish! 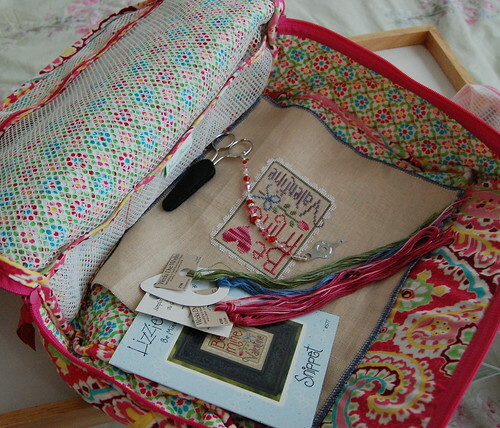 The Vera Bradley bag you picked up sounds like it was a deal at 50% off. This looks great. You always take the best pictures that show off the work. How do you think you'll finish this one? And I say get back to Brave Hearts! I would love to see more of that one stitched. I love the little travel case! 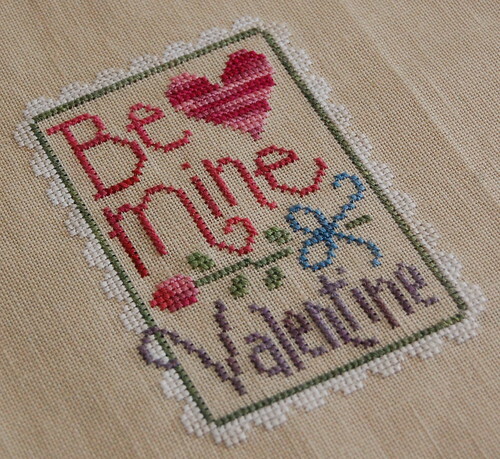 Your Valentine's finish is adorable! What a cute finish! 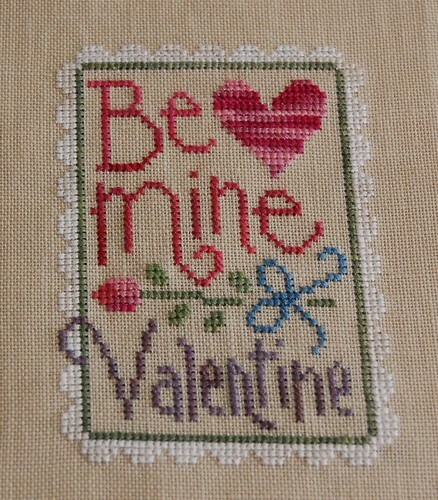 I am loving all the Valentine designs I'm seeing right now. Love the new travel case too - I think I need one!